Ideal for everyday use, the Sabatier Olivewood Steak Knife Set is an attractive addition to your table setting. 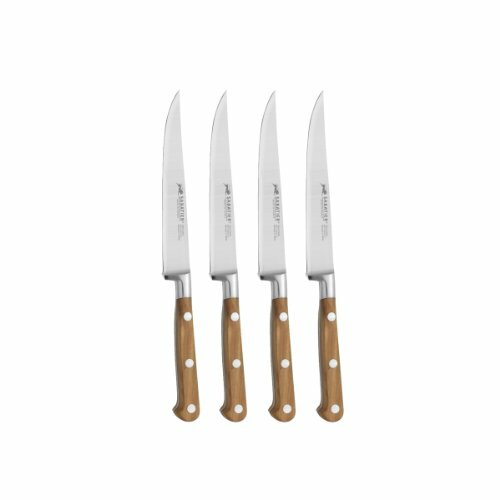 The four-knife set has high carbon steel blades that stay sharp. Each knife features an olivewood handle that looks beautiful and is comfortable to hold. The knives are perfectly weighted and balanced for control and comfort of use. Hand wash the knives with mild detergent; rinse and dry immediately. Each set comes with a limited warranty. Set of 6 steak knives with elk antler handles in wood box.